Longtime Republican Assemblyman Brian Maienschein announced Thursday that he is switching his affiliation to the Democratic party. He said he is no longer in sync with the national party on gun control, immigration, abortion, LGBTQ rights and many other issues. Maienschein won re-election to a fourth term in November by just 607 votes amid a Democratic wave that swept California. 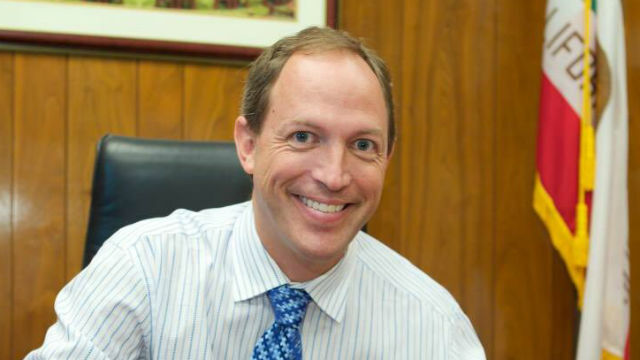 “I welcome the addition of Assemblymember Brian Maienschein to the Democratic Party. His legislation, his actions and his presence in the Assembly have always shown him to be a man committed to ideas for making California better, not to ideology that divides us,” said Assembly Speaker Anthony Rendon following Maienschein’s announcement. Maienschein was one of the last Republicans representing San Diego County in the Assembly, leaving Marie Waldron and Randy Voepel. Waldron termed Maienschein a “turncoat,” and the San Diego County Republican Party called for his immediate resignation. Maienschein’s switch further strengthens Democrats’ supermajority in the Assembly, which now totals 61 of the chamber’s 80 seats. Maienschein represents the 77th District, which encompasses north inland San Diego, Poway, Rancho Santa Fe and Fairbanks Ranch.